Tight, very tight but doable. I have recently commented on a similar topic in this forum - see below. I assume that Serenade will arrive into Stockholm at 8am - if 7am you should be OK If 8am you should be able to disembark before 9 am - no immigration or customs - an hour from port to airport (depending on week day 35 to 45 minutes) and probably check in one hour prior to departure makes an 11:25 am departure very stressful but doable. I’m not sure, but I believe that BA does close check-in 45 minutes before departing Arlanda. In addition to security you also need to go through passport control in Arlanda. You are right - recommended ‘window’ is 90 minutes for a comfortable transfer. At the end it is the airline issuing the tickets determine the connection time. The luggage is automatically transferred and the airline will ensure that you make the connection or they have to remove the luggage from the plane. in FRA international arrival and ‘domestic European’ departures are from same terminal. Always a risk arriving the same day as you cruise departure and any irregularity will for sure add to the stress level. And yes - wise to fly in a day or more early for the cruise. Personally I would have missed one cruise due to air controller strike and not got the luggage once if not ‘being early’. I do agree on flying a day before or earlier - bad weather, technical problems with flight, delayed luggage and more - OP question is "how screwed are we" with a change in connection time from 2.5 to 1 hour! As mentioned I have passed FRA many times on my way from 'overseas destination' to CPH - Prefer a connection time at 1.5 hours but often had only 45 minutes or 1 hour. Few times shorter due to delays - but always made it - and also the luggage (my preferred airline is Lufthansa) I do not see the change in connection time as a big problem - might be other problems, bur the 2.5 hour might not be sufficient either. You are right - Myrdal is just few houses and nothing you can do there except a nice and maybe ‘cool walk’. I believe the ticket also is valid for the earlier train - ask at the ticket office in Flåm - might be better to spend the time In Flåm rather than Myrdal. Enjoy your trip. What to do in Skagen, Denmark for the day?? Not screwed at all!. I have passed through FRA many times using Lufthansa - most times connecting time has been 1 to 1.5 hours. Actually Minimum connecting time is 45 minutes, according to Amadeus., but 1.5 hour might be more realistic. I assume that you have all legs of the flight on the same reservation - then your airline will ensure you have enough time based on available connections. Also your luggage will be checked through to your final destination and no customs in FRA. Customs at your final destination. However Schengen immigration/passport check in FRA. 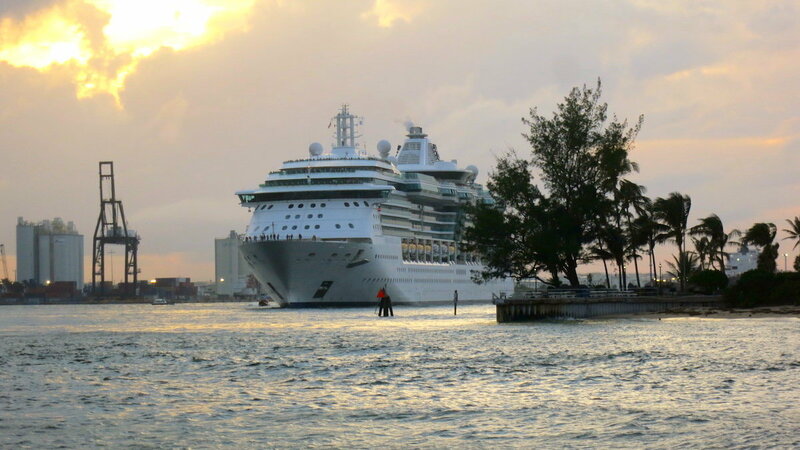 There will be continuous service throughout the day when the cruise ship is in port. The entire trip will take a maximum of three and a half hours - More info You should also consider a visit to Loen Skylift - shuttle bus from the pier. Should be time for both trips during the day. Do you mean Briksdal glacier? Which port? Assuming Olden, but could be another port! For busses there a more options from Olden - do you just want to have sightseeing tour to do you plan to stay for a longer period of time at The Glacier? In Bali a certified guide and Certified driver is two different things. Being a certified guide does require training and certification- for the driver the car must be certified for passengers- and regularly being inspected. Dewa is a driver and not considered a guide - however he does ‘act as a guide’ and can access all sights at no costs. Do not know the answer, but need to be sure which terminal - assuming Oceankaj but please confirm. If you don’t know which terminal then ship and date. Layers are important - I’ll recommend rainproof windbreaker/rain jacket - you might also consider gloves. Temperature might be everything between 40 to 80 F - and do expect rain - in Bergen it is raining 20 out of 30 days in both June and July. and a worm hat - not only to protect your head for the sun but also keeping your head warm. Might be a wise choice- however depending on what you’re doing the rest of the day the Aarhus Card might be an option - also taking the HoHo visit after your visit to ‘Den Gamle By’. I can see that our spellcheckers are quite consistent (even mine) - it is ’Den Gamle By’ which is ‘The Old City’ in Danish. The HoHo bus has only one cruise terminal stop close to the terminal where most ships dock - quay 129/131. Alternatively, vessels can call at the Container terminal or the Omniterminal. It is a little further away. Examples are Regal Princess, Rotterdam and few more.